ABERCROMBIE POINT, N.S. -- Aboriginal protesters in Nova Scotia will continue to block access to a paper mill's broken wastewater pipe until the province and the mill commit to closing an effluent treatment plant that borders their community, a native leader said Wednesday. Chief Andrea Paul of the Pictou Landing First Nation says she wants the premier's office and Northern Pulp, which runs the mill, to devise a plan to close the treatment plant in Boat Harbour, N.S., and undertake a site cleanup. Paul says until that happens, protesters will continue preventing heavy equipment from using an access road to fix the underground pipe, which they say broke near a Mi'kmaq burial site. "Now we know nothing is flowing through (the pipe) because they can't do anything until this is fixed," she said in a phone interview from the protest site. "This is definitely a great opportunity for us to be able to sit down ... and to work through our issue with Boat Harbour. What is the plan? What is the concrete plan for us?" Paul said the native band must be consulted on any excavation that occurs on the site due to its proximity to a Mi'kmaq burial site. The blockade went up on Tuesday after the band council learned the pipe was leaking wastewater into wetlands and the nearby East River, about six kilometres from the Pictou Landing First Nation. 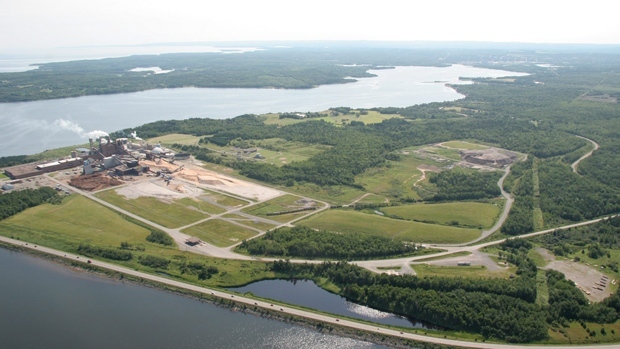 A spokesman for Northern Pulp said the mill was closed Tuesday to stop the flow of wastewater. David MacKenzie said he expects senior company officials will meet with Paul for talks about the blockade. MacKenzie said environmental engineers have been able to access the site on foot and are assessing the damage and the remediation required. He said the company would like to fix the broken pipe as soon as possible. "We're hopeful," he said. "We'd like to get in there and get it cleaned up." The provincial government has said it is committed to the clean up of the Boat Harbour site, but it needs more information on what's in the waterway. The province has said the most recent data dates back to 1995 and has to be updated.